Once again it was Titou’s NSP team mate Marcus Hansen crossing the line in second place to be the fastest finishing Kiwi and therefore earning an invite to the 2017 ISA Worlds in Denmark. Trevor Tunnington finished third this afternoon to make the beach race a mirror image of Saturday’s podium. The future looks bright for NZ, with 15-year-old prospect Brianna Orams came home second in today’s beach race to add to her third place finish in the distance race, while 17-year-old Ollie Houghton was just half a second outside the men’s beach race podium. Top finishers and a quick recap below. 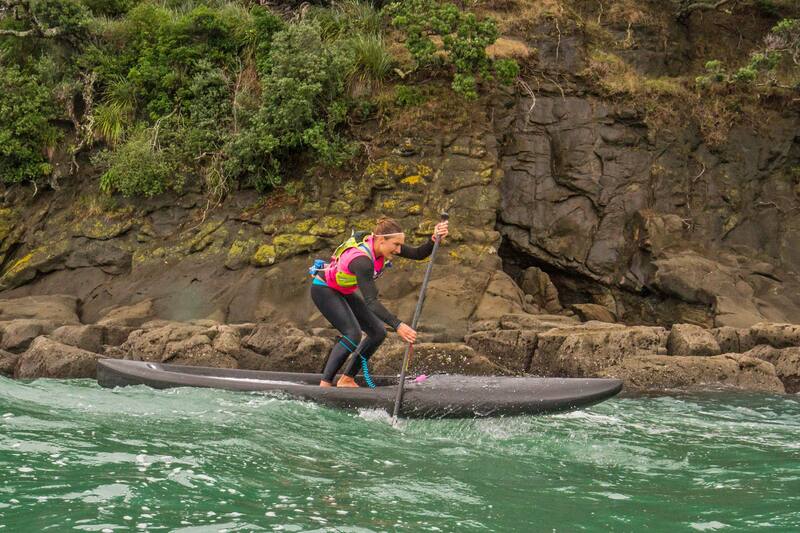 Check out the official NZ SUP Nationals Facebook page for more. The technical surf race is a 4.5km M-shape course, in-and-out of the surf in front of the Orewa Surf Club. 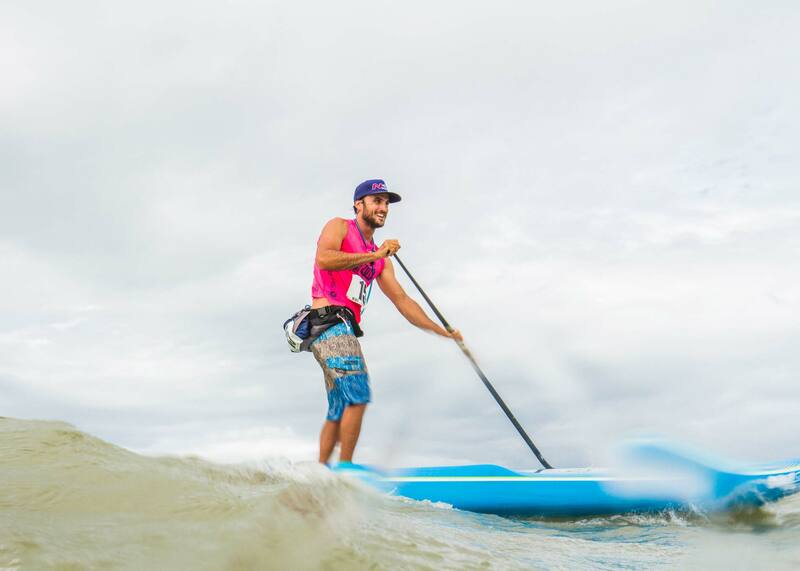 Conditions saw paddlers complete the course in rain squalls and onshore winds gusting 30-knots in the morning, easing over the day, with 6ft swell easing to 2-3 foot in the afternoon. 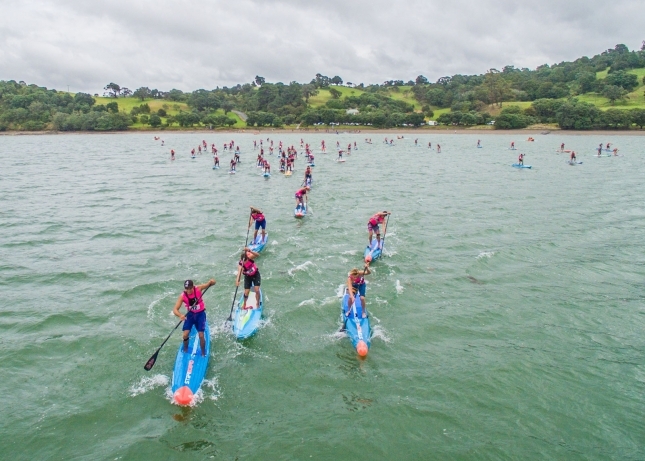 NZ SUP president Gavin Houghton says it’s a great achievement for the event to have three of the world’s top-20 athletes competing – Titouan Puyo (#4-mens), Trevor Tunnington (#19- mens) and Annabel Anderson (#1-female). “It was impressive to see the performance of the Kiwi athletes against these top names this weekend,” Houghton says. 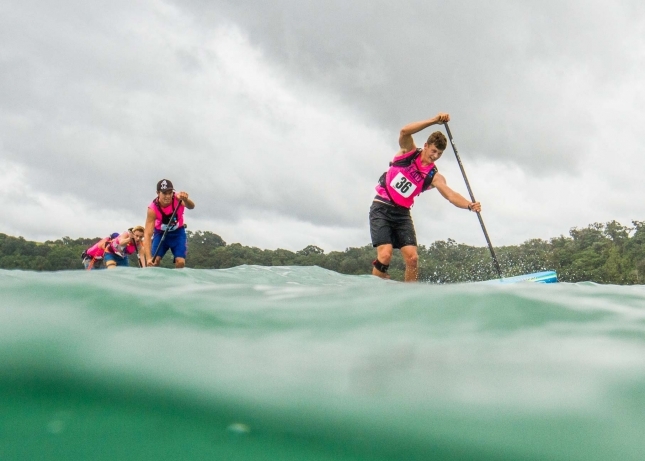 Marcus Hansen was ahead of Tunnington in both races, while 17-year-old Ollie Houghton and JP Tobin had parity with them in the surf technical race and distance races respectively. 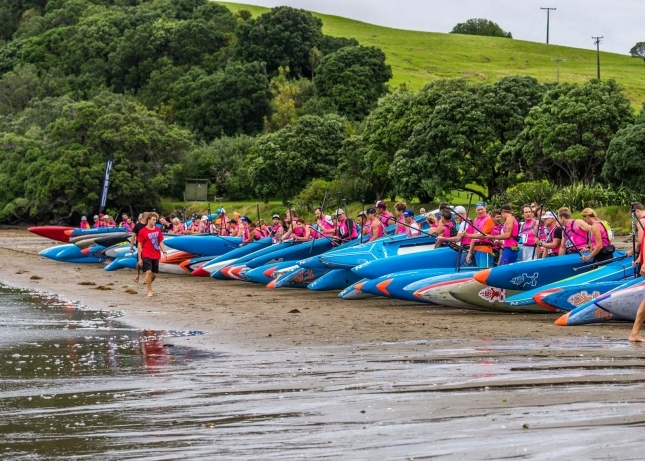 Almost 300 paddlers took part across the weekend’s events, with ages ranging from 6-76. 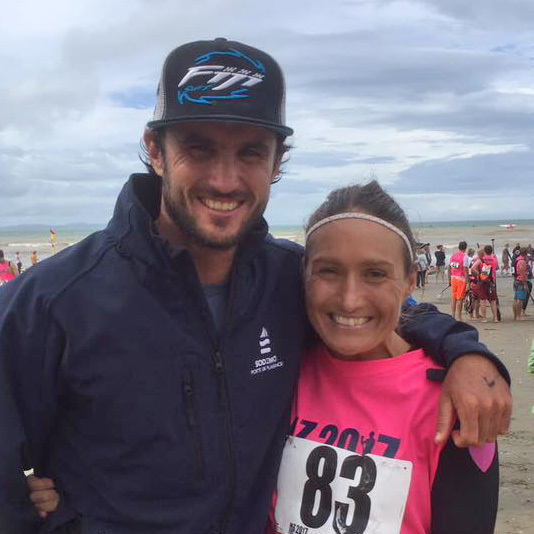 In brief: World number one Annabel Anderson has taken out her 7th national title after claiming the long distance event on day one of the 2017 New Zealand Nationals that were held near Auckland this afternoon. New Caledonia’s Titouan Puyo was too good for the hometown heroes, with the world number four claiming the men’s race ahead of NSP team mate Marcus Hansen and Starboard’s Trevor Tunnington. 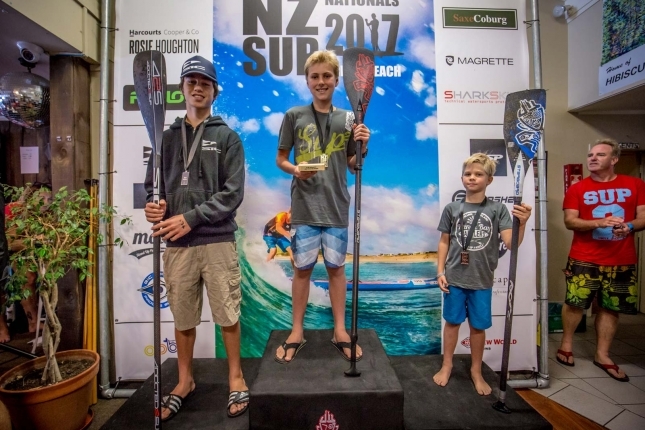 This weekend’s event is Team New Zealand’s qualifier for the 2017 ISA Worlds, with the top-placed locals getting an invite to the championship event in Denmark later this year. With a week full of changeable weather, all the athletes were apprehensive about what the weekend had in store for the 18km long distance race. On the start line in Mahurangi the wind was light and cross shore, the first leg was a 3km punch upwind to a bouy occasionally sheltered by islands. 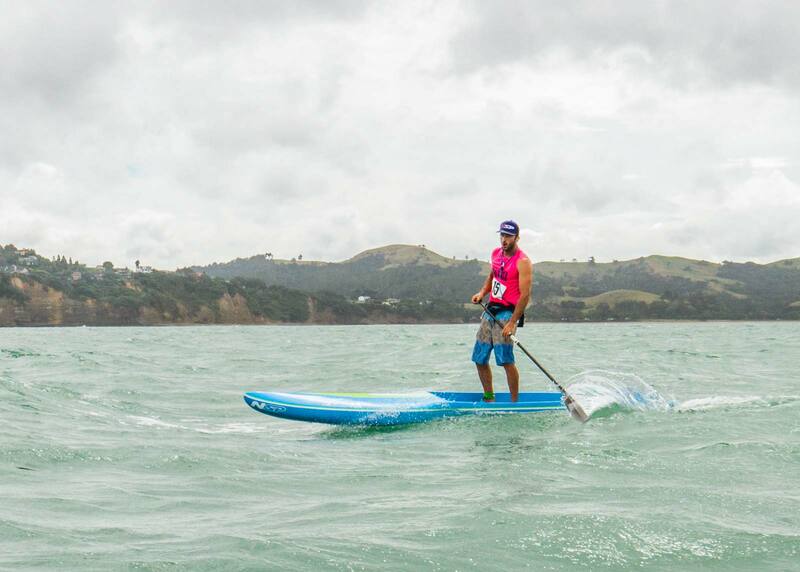 The paddlers turned south straight back to Orewa Beach catching two metre running swells with a constant 20 knot wind. 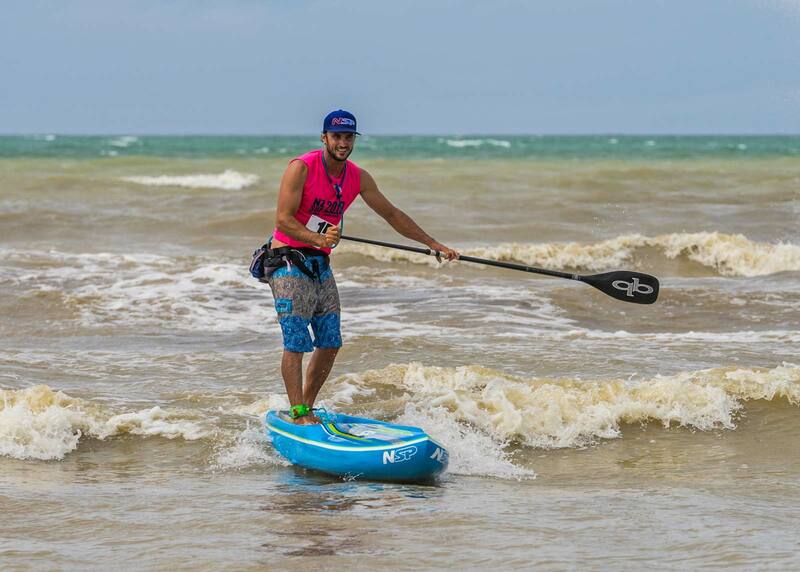 A surf finish and beach run gave Titouan Puyo line honours and 1st International with a well-paddled race, he cross the line two minutes ahead of 2nd place getter and 1st Kiwi, Marcus Hansen and rounding out the podium was Aussie-based Trevor Tunnington. Annabel Anderson crossed the line less than 10 minutes later defending her title and becoming the 7-time National Champion in the long distance. 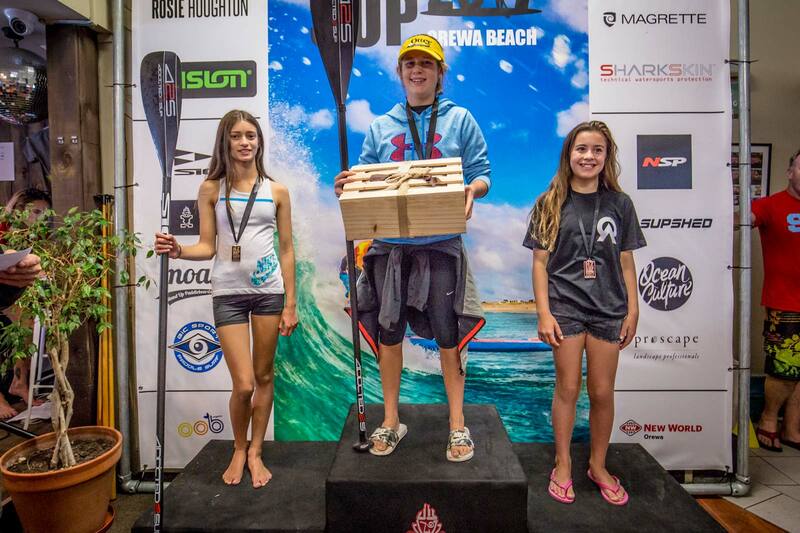 Penelope Strickland paddled strong coming in 2nd with South-Islander Tara Hope bringing in 3rd. 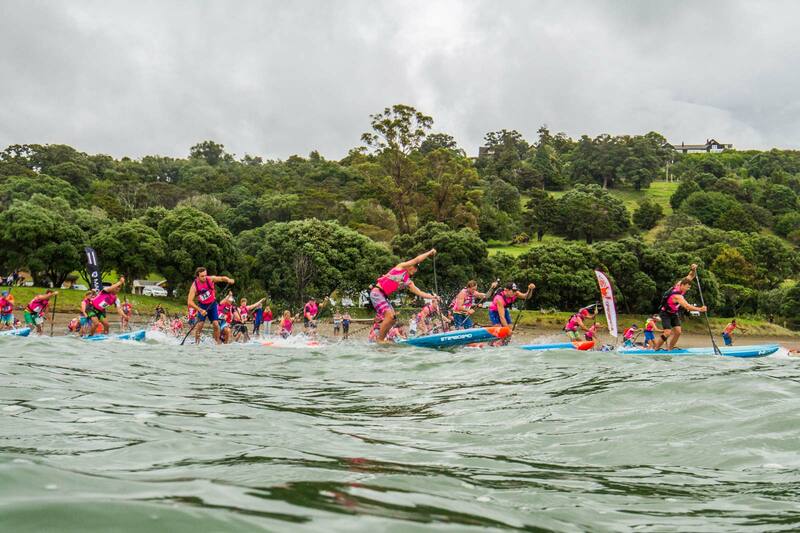 Earlier in the day we got to see the groms hit the water in the junior 3km distance with Fergus Dunlop and Maddy McAsey claiming the boys and girls title. 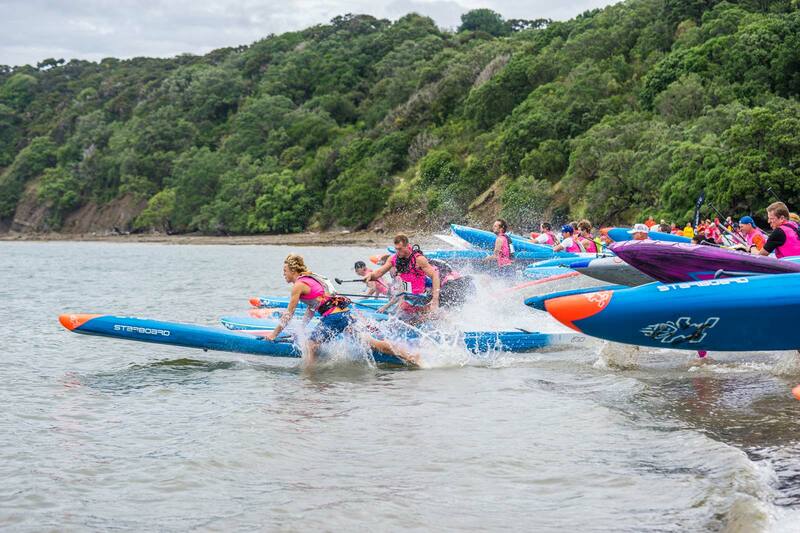 Tomorrow brings 30 knot offshore winds in the morning easing with 1.5-2m surf for the beach race. The competition will take place directly in front of Orewa Surf Life Saving Club and will make for fantastic spectating. There are some stacked heats with the likes of Titouan Puyo, Trevor Tunnington, Noa Hopper, Marcus Hansen, JP Tobin and Ollie Houghton all in the chase for the Technical Race Title. Keep up to date with all the action on the @newzealandsup Instagram and NZ SUP Nationals Facebook Page. Full results coming soon but here are the early positions.